"Discover The Step-By-Step Guide To Reducing Stress With Meditation and Mindfulness"
Using These Techniques, You'll Have a Clearer Mind, Stress Less at Work and at Home! Boss shouting at your ear? Deadlines coming from left and right? Feeling the pressure and stress from everyday life? Well, read on, because you're going to find out how to reduce stress once and for all! But it actually goes beyond this. 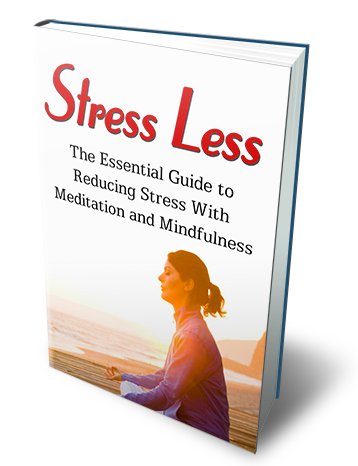 Stress is a basic physiological reaction that is designed to help us focus and survive. With so much information out there, it's hard to know where to even begin. The good news is, I've written a guide sharing all techniques on how to reduce stress so you can finally live a life of peace, clarity, and certainty.